NEW Chocolate & Pistachio Shortbread. Experience It. Now. We have been asked regularly in the last 2 years about what new varieties of shortbread we plan to come up with next. More often than not, we are asked if any of our ideas include chocolate. Well, here it is – PÉCHÉ MIGNON Chocolate & Pistachio Shortbread in 200g bags will be in stores this week, in time for Valentine’s Day. We will be producing it all year as the 5th variety in our range of shortbread varieties. 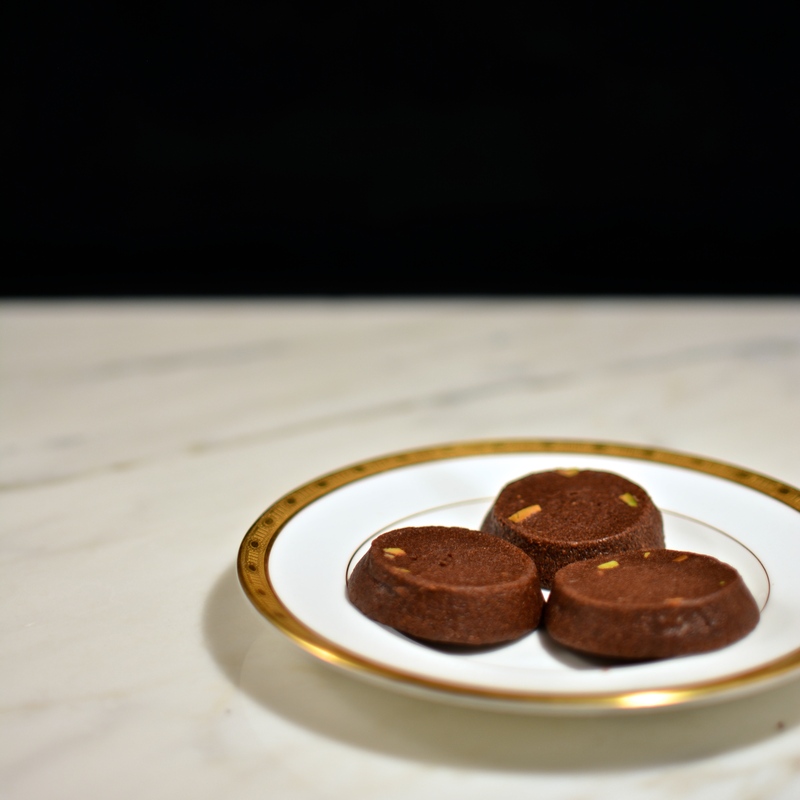 We use rich and luxurious Valrhona chocolate and we toast the pistachios to really bring out the aroma and flavours. We hope that you will enjoy it.